I like other WII fanatics did not wait to read reviews on the WII Fit, on the contrary, my husband rushed out to buy me one the same day it came out. I figured if I love my WII why wouldn't I love the WII Fit. 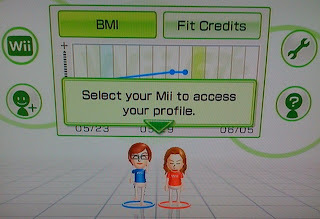 The WII Fit is basically a balance board that is able to read your weight, body mass, keeps track of your progress and allows you to set up a goal to lose or gain weight and all of this is tracked by your MII profile. It offers four categories of exercises; balance, aerobics, strength, and Yoga and amongst these categories it offers 50 different types of activities. All your time is tracked and displayed to you after every activity and from the menu. My favorite is the advance step aerobics and the boxing even though one of the reviews I read said that you don't even break a sweat with the aerobics... I do. The incredible part of the system is the way it praises you, gives you tips, and can also be a little harsh when you're not doing the exercises right. The Yoga trainer says things like "Hey, your muscles won't train themselves you know" when you step off the board in the middle of an exercise or something like "you're a little too shaky" when you can't hold a Yoga pose but it also gives you praises such as "you're doing great", "you got an excellent balance" so it's basically like having an actual trainer watching you. It also has a way of knowing the time of day, I usually start using it after dinner and it greets me with "Good evening! Isn't a little too late to exercise". It's like big brother is watching. I've read several articles after it came out and I had tried it myself. I'm not one that goes 100% by other people's reviews, I usually like to have an open mind. I did it with the iPhone and I'm going to say it again, I LOVE MY IPHONE even though a lot of people have trashed it. 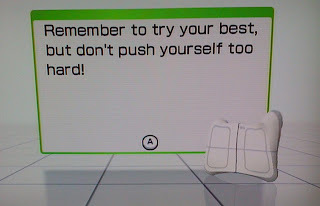 Well back to the WII FIT, the reviews I've read in newspapers and magazines have been mixed, some say it's great for those that want to get into shape little by little and others say it's a dumb down version of yoga. The bad reviews have been mostly from those that are Yoga or Fitness experts but let's be real.... we all know this does not replace the gym or other exercise classes but it's certainly a good way to start exercising and getting into the habit. At least that's why I bought it. 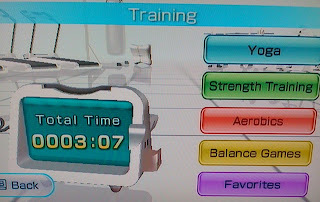 So in my eyes the WII Fit is doing what it's suppose to do, kudos to Nintendo. Now wouldn't it be great to be able to use this same type of technology in our eLearning courses? Even though usually positive and encouraging feedback is provided through out courses, I think it would be great to be able to provide more interactive feedback. 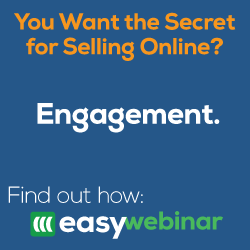 Can you imagine saying to a student "Hey, you know you need to read the content before you continue" when they are just clicking through screens... or "that's excellent, you're a quick learner" when they answer correctly in a very short time, What do you think? How would you use this technology in training? Or what is our opinion on the WII Fit and your favorite exercise?